MainAll NewsHaredi Community ‏An end to discrimination against 'kosher phone' users? An end to discrimination against 'kosher phone' users? New bill aims to force cell phone companies to call, not text, before raising prices. 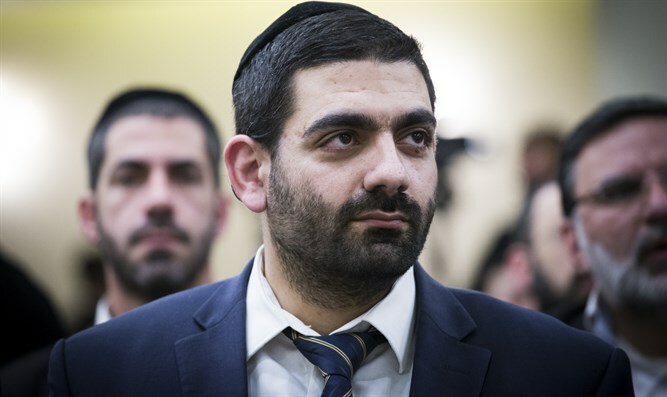 The Knesset's Ministerial Committee for Legislation on Sunday passed a law aimed at ending discrimination against those who use "kosher" cell phones, Behadrei Haredim reported. "Kosher" phones do not have internet or text messaging. They can, however, be configured with a WhatsApp-like application. The bill was proposed by Shas MK Michael Malchieli, and mandates that service providers receive telephone approval from customres for any change in pricing. Currently, cell phone service providers send a text messages to users warning them of a rise in price, whether due to company decision or the end of a set discount period. Users of kosher phones, however, receive no such messages, and are often never informed of the rate change before it takes place. "This bill is intended to help the Torah community, who own kosher phones. Until now, these people did not receive any updates when their discounted period ended, since all notifications were sent via text message, which their phones did not have, as per the instructions of our Torah leaders." "As a result, the customer was not notified when the price for his cellular phone changed - usually rising - and he had no choice but to pay. Sometimes, these sums amounted to hundreds of thousands of shekels, or even more than that." Malchieli also thanked Interior Minister Aryeh Deri (Shas), Justice Minister Ayelet Shaked (Jewish Home), Communications Minister Ayoob Kara (Likud), and Consumer Protection Authority Head Michael Atlan, for supporting the bill. A preliminary reading of the bill is expected to take place in the next few days.